Last week, we visited Japfa’s swine fattening and poultry businesses in Vietnam, its largest revenue generator in “animal protein other” segment. We lift our SOP-based Target Price to US$0.90 as we roll forward our valuation to CY20F. Maintain ADD. Firmer 4Q18F margins and revenue growth (results to be released at end-Feb) could re-rate the stock. JAPFA LTD. (SGX:UD2) runs poultry and swine feed manufacturing, breeding and commercial/ fattening farms in Vietnam. The operations were profitable in FY14-16, but FY17 saw losses in due to losses in its swine fattening business. Last week, Japfa hosted a visit to its swine and poultry parent stock (PS) farms and its feed mill in the Binh Thuan area. We noticed tight biosecurity at the PS farms; especially important for the swine business given the outbreak of African swine flu in neighbouring China. Japfa partners Hypor (one of the leading suppliers of swine genetics) for its great grand parent (GGP) swine farm, but owns and operates grandparent (GP) and parent stock (PS) breeding farms, and swine fattening farms. We visited the isolation, gestation and farrowing barns of one farm. Japfa’s swine fattening segment saw steady growth from 2012; but when China restricted swine imports in 4Q16, the segment was negatively affected. Prices have recovered since 2Q18, as the Vietnamese market adjusted to supply/demand dynamics. Since then, the APO segment has been profitable. Refer to the PDF report attached for more details and images. We visited Japfa’s newest poultry layer farm; such farm hosts chickens that produce day-old-chicks (DOC). Here we saw chickens in various stages of their life (typical lifespan: 65 weeks). In its 2017 annual report, Japfa estimated it ranks no.3 and accounts for 20% of Vietnam’s DOC market. Japfa has 12 poultry breeding farms in Vietnam. Japfa’s feed mill in Binh Thuan is its biggest (capacity: 32,000mt per month). The feed mill produces poultry and swine feed for both internal and 3rd party sales; swine feed accounts for the majority of its business. According to Japfa, the feed segment accounts for more than half of its revenues in Vietnam. 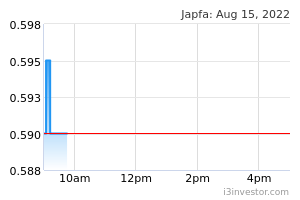 We like Japfa as we believe its recovery mode is still intact, with y-o-y earnings growth in FY19-20F. 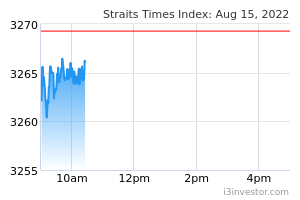 We raise our Target Price to S$0.90 as we roll forward our SOP-based valuation to CY20F. At 10x CY20F P/E, valuations are still below CY14-17 mean of 13x. Higher 4Q18F profits and margins are potential re-rating catalysts; weaker profits and margins are risks to our ADD call. Malindo Feedmill (MAIN IJ, ADD, Target Price:RP2,500) at CY20F 12.8x P/E. Japfa Comfeed typically trades at a discount to CPIN and a premium over MAIN. APO division: We ascribe 8.5x CY20F P/E, which is close to its 0.5 s.d. below Japfa’s FY14-17-year mean P/E. The ascribed P/E also coincides with Japfa’s CY14-17 average if we exclude the period when swine prices plunged in mid-2017. Dairy division: We ascribe a 15% discount to our implied target valuation for closest peer China Modern Dairy (1117 HK) of CY20F 6x P/E.